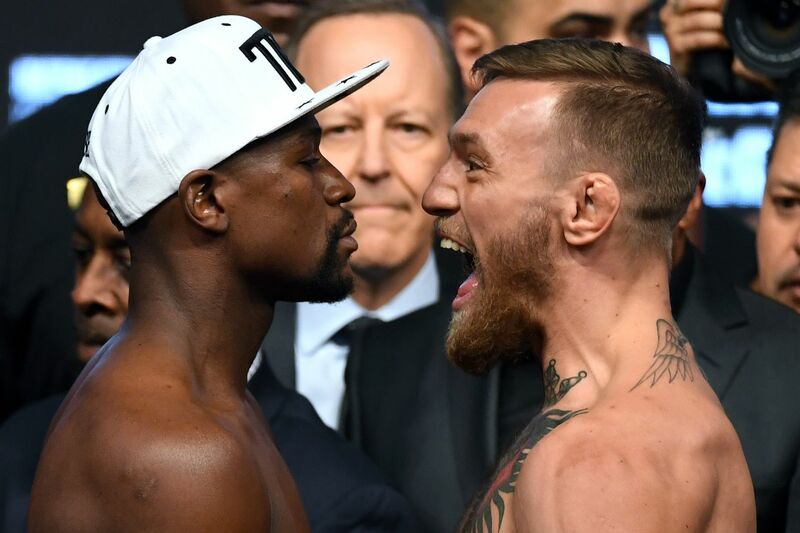 Home MMA News Mayweather-McGregor live updates: Who is winning the fight right now? Mayweather-McGregor live updates: Who is winning the fight right now? Floyd Mayweather and Conor McGregor are headlining a pay-per-view (PPV) event this evening (Sat., Aug. 26, 2017) that is being dubbed, “The Money Fight.” We have delivered wall-to-wall coverage all week. And today/tonight was no different. Right now we have detailed, round-by-round updates of the Mayweather-Pacquiao main event going on in our live results stream right here. In this post we are going to keep you up to date on the unofficial scorecard of ringside “judge” to give you a feeling for the main event inside T-Mobile Arena in Las Vegas, Nevada. In addition, whenever relevant, we’ll provide you with other in-fight tidbits so you know exactly what is happening in real-time inside — and outside — the ring. We will refresh this post after every round; therefore, reload the page often to get the latest scoop on who is winning the fight between Floyd Mayweather vs. Conor McGregor. Who will win the showdown between Boxing vs. UFC? Let’s find out! 11:41 p.m. ET: Gervonta Davis is announced the winner after an odd knockout of Francisco Fonseca in the eighth round. But, because he failed to make weight he was stripped of his IBF Super Featherweight title and was prohibited from defending it. 11:47 p.m. ET: The in-ring interviews with Davis and Fonseca are complete, which means it’s time to turn the focus on Mayweather and McGregor. Showtime, of course, rolls a preview to keep the broadcast rolling, featuring Mayweather’s exploits in the ring and McGregor’s inside the Octagon. 11:50 p.m. ET: The cameras go backstage, where Mayweather and McGregor are getting their 8 oz. gloves laced up in preparation for the fight. For much more on “Mayweather vs. McGregor” be sure to hit up our comprehensive (and impressive) collection of event-related stories right here.